- In a small saucepan, heat the juice on low, and whisk in the Beauty Collagen and the Grass-Fed Gelatin until dissolved. - Transfer the juice mixture to a small measuring cup with spout, and then carefully pour the mixture into the candy moulds. - Refrigerate until set (about 15 minutes) and then transfer to an airtight container. These should keep up to about a week if refrigerated! - Heat 1” of water in a small saucepan until boiling. - Break up the chocolates into a medium saucepan, and set it over the smaller saucepan until melted. (heating over a smaller saucepan double-boiler style helps to melt the chocolate without burning it). 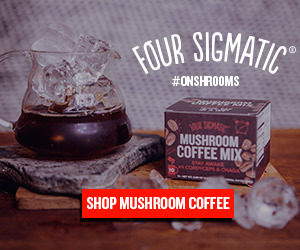 - Whisk in the coconut oil until melted and combined with the chocolate, then whisk in the mushroom blend and the collagen peptides until well combined. - Keeping the chocolate on low over the heat so that it stays pliable, spoon into the chocolate moulds. - Refrigerate until set (about an hour), and then transfer to an airtight container. These should keep up to 1-2 weeks if refrigerated in an airtight container!